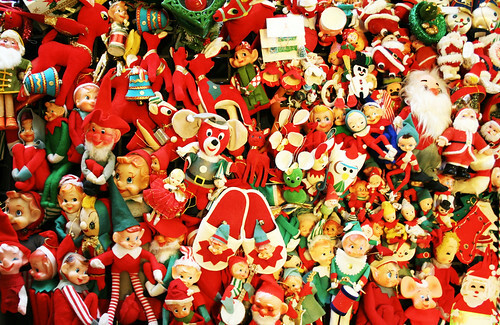 It is difficult when writing about such a huge category as Children’s books, which as within it so many genres and sub genres, to choose just three books, but somehow I have managed it. Hawkhill Publishing is a new house, run by Colm Ennis formerly of Hughes & Hughes. he has had a fairly good start and Ancient Folk Tales of Ireland continues his run of good releases. 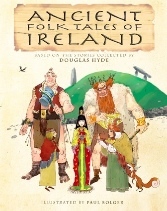 Illustrated by Paul Bolger a somewhat unknown (for reasons I cannot fathom) illustrator of some talent and based on the stories collected by Douglas Hyde Ireland’s first President, this is a wonderful book of the kind all homes should have. It brings to life many of the older and now sadly neglected Irish folktales that warrant our attention. 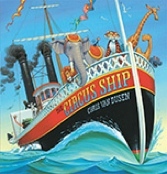 Written and illustrated by Chris Van Dusen. This is a wonderful book. The images shine and he text sparkles and more importantly, they work well together. The production values are something else. I love the book for all those reasons and because my searching leads me to believe that the book is based (in the REAL LIFE STORY sense of the word based) on an actual event, the Sinking of the Royal Tar (Google Docs). 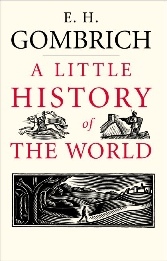 E.H. Gombrich wrote this book in German in 1935 and it was only translated to English and released in 2005. It is a startlingly good read and while it strays towards the upper end of the Children’s category, I think it worth adding here to encourage the reading of solid non-fiction by children. Straight into this edition. To read part 1 and part 2, click the links! Roger Crowley also wrote Constantinople: The Last Great Siege. That was a good book. But it lacked two things that make this book essential reading, personality and narrative structure. It is as if Crowley went away after Constantinople and read Tom Holland, realised that he could do as well or better and set to. 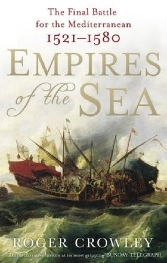 He paints a wonderfully engaging picture of the Mediterranean world and of its rulers, capturing the burdened Phillip II in a few short sentences scattered throughout the book. His real strength though is that his insight stretches to the tensions within the camps and between them, explaining with equal authority the pressure on the Sultan’s commanders and those of the Christian states. I cannot recommend this book highly enough, it is just excellent. I love a good non-fiction book that opens up unknown places and interesting little bits of information, digestible if you will. 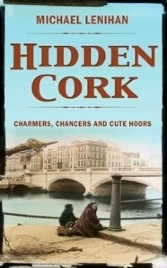 Hidden Cork brings to life many of the characters and crazy people who have populated the history of the city along with the stories of fabulous and forgotten events. Michael Lenihan, who wrote the book, is an absolute charm of a writer who has a deep interest in the topic and a passion that is unrivalled. A gem of a book. 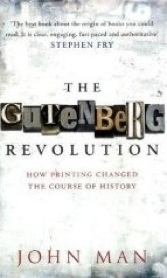 John Man’s short and concise biography of Johann Gutenberg is a joy to read. When I look at how the world is changing for what (firmly tongue in cheek) Cory Doctorow at TOC Frankfurt called The People Of The Book, this is the perfect Christmas gift for the publisher, writer, editor or reader in your life. Man has really fleshed out a character who up until I read his books, was at best a cardboard cut out. Maybe it’s my emerging preference for quality narrative fiction (this list really attests to that) but I’d recommend it to anyone, not just a book fan, but the history fan too. Like the Sci-Fi & Fantasy section, keeping this section to three is too hard and so I have cheated a little by suggesting two notable exclusions. Yes it is expensive, yes it is beyond what most people would need or want, but it’s very imposing-ness makes it invaluable and essential for those engaged in deep study of Irish history, even as jumping off point. It is a difficult thing to hold my list to three books in this post (and so cheekily I’ve chosen some series based books). I have read some incredible sci-fi and fantasy books over the last year, some of which have really broken through to the mainstream of sci-fi readers and some of which have only done passably well. The three I’ve selected simply ran away with my imagination. Vernor Vinge is by many people’s standard one of the modern greats of Science Fiction. Until I read a post by Jo Walton about his book Fire Upon The Deep on Tor.com the emerging online hub of science fiction and fantasy, (which goes to show the value of a good educational role for online communities). There was so much in the post that appealed to me that I went out and bought the book and have since bought another, I will probably buy anything and everything he writes or has written. Fire Upon The Deep is an absorbing read with strange and wonderful characters, exciting and yet extremely limiting realities (FOR THE AUTHOR THAT IS). What a book to read if your creative insights are running dry, it is sure to spark imagination and profound thoughts. I was not convinced at first by this book. The pace seemed slow, the language stilted. Yet it was good enough for me to keep reading. And then, boy did it take off like a rocket. Perhaps THE most exciting and inventive series I’ve read in a while. It offers new perspectives on a host of fantasy memes. I was sent book two and three by another fan and I’ve decided that it is that kind of series, the kind that converts readers into zealots. I think you should all become zealots! Read the first four in rapid succession and you’ll feel bereft when it comes to the last page and you’ll be dying for the next book! Joe Abercrombie is a fine writer. One who knows a lot about fantasy. In this remarkable series he pretty much subverts the accepted narratives of fantasy while creating new and exciting versions around the carcass. A berseker (and an evil one at that) central hero, a torturer who holds our pity, respect and I suspect for most people, our admiration and a wise central enigmatic character that is almost the exact opposite of your Belgarath or Gandalf.